Discovery Days are fast approaching! Discovery Days are a fantastic one-day 4-H experience for 4-H members and for youth curious about joining. 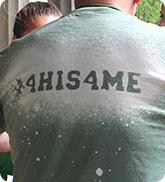 Not only will you make your own piggy bank, get a free pizza lunch and a t-shirt you can decorate, but learn all about what 4-H has to offer "Down on the farm!" In May, the following three regions are hosting Discovery Days: Region 5 (May 4), Region 3 (May 11) and Region 4 (May 25), followed by Region 1 (June 1), Region 2 (June 15) and Region 6 (June 22). Do you know an outstanding new leader? 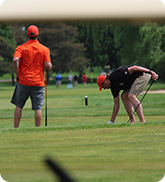 Early bird registration for Golf closes soon! Don't delay, sign up for Career Mania today! 4-H Ontario is excited to announce the adoption of the Canadian Code for Volunteer Involvement, a Code that reaffirms 4-H Ontario's commitment to its volunteers. Read more here>. Copyright © 2019, 4-H Ontario, All rights reserved.